The Course of Nephrology being a part of the Department of Urology was established on 01.09.2009. 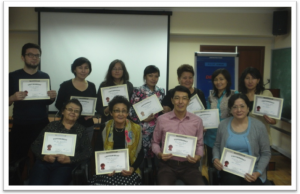 Since 01.09.2011 the Course was reorganized into independent Department of Nephrology. 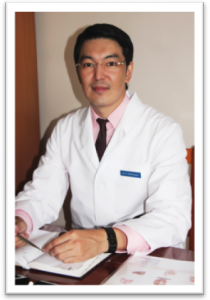 D.Med.Sc., ProfessorKairat A.Kabulbayev, a Nephrologist, speaker of the International Society of Nephrology, Secretary General of the Kazakhstan Association of Nephrology. Nephrology division is founded by famous scientist and Nephrologist, D.Med.Sc. 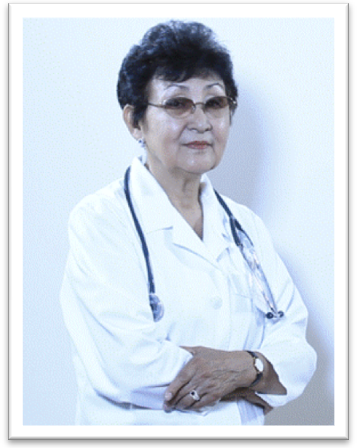 Professor Assiya Bakishevna Kanatbayeva. Contingent of students on the module Nephrology: cours 4 (bachelor «General Medicine»), 6-7 courses (interns «Internists», «Pediatrics», «GP»), residents of Nephrology. Scientific power of nephrology unit are morphological diagnosis and treatment of primary and secondary glomerular diseases. A clinical study “Biomarker prediction of glomerulonephritis course in children” is in the process. Project supervisor: Professor A.B.Kanatbayeva Preliminary results were reported at the World Congress of Nephrology on 2 June, 2013 during the poster session. Assistance in pathohistological diagnosis is provided by Professor Arthur Cohen, University of California, Los-Angeles, USA; Professor Heinz Regele, University of Vienna, Austria. Consultative assistance is also provided by Professor Jochen H.H.Ehrich, Medical School of Hannover, Germany; Professor Alexei Tsygin, Institute of Pediatrics of the RAMS, Moscow, Russia. Clinical bases are leading clinics of Almaty, where is tertiary care to patients with kidney disease, including patients on hemodialysis and after kidney transplantation.